Obviously, virgin Argan oil possesses natural virtues confirmed by several scientific studies conducted both in Europe and in Morocco. Its major biochemical components are recognized for their beneficial effects on health. Of an Oleic – Linoleic type, it is rich in unsaturated essential fatty acids, in Tocopherols, in Polyphenols, and in Sterols. Originating exclusively from a plant food source, Linoleic acid is the most sought after of the poly-unsaturated essential fatty acids. 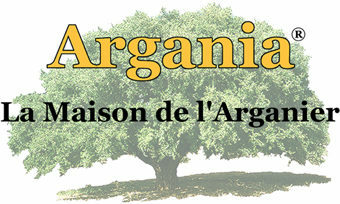 It represents a third of the total composition of Argan oil. The recommended daily consumption of this fatty acid is 5 to 6 grams; therefore the daily use of just 2-3 centiliters of this oil in a day will satisfy the Linoleic acid needs of a healthy diet. Tocopherols, the source of vitamin E, celebrated for delaying aging in cells, are the second major biochemical component of virgin Argan oil (620 Mg. in a kilogram). Vitamin E contributes to the steady development of all the body’s systems, and also stimulates properties of the cells’ anti-oxidant defenses. By lowering the serum cholesterol levels in the human body, essential fatty acids prevent arterial plaquing and thus reduce the risk of cardiovascular illnesses. Prolonged deficiency in essential fatty acid also causes the premature aging of the skin. This biochemical composition confers on it great dietary qualities. Argan oil has already attracted important cosmetic laboratories that use it in their dermatological health product lines (parsimoniously and often in a converted form).